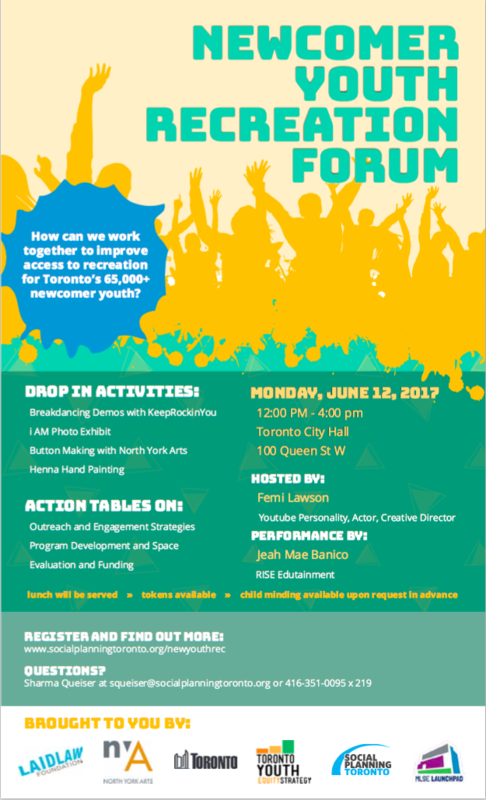 How can we work together to improve access to recreation for Toronto’s 65,000 newcomer youth? Opportunities like afterschool programs, arts and music, and sports are essential for ensuring newcomer youth settle successfully in Canada. Join us for an afternoon of interactive recreation activities, keynote speakers, and opportunities to learn from and work with others to address this important issue.